Today the whole school has been involved in a number of co-operative learning activities as part of our new unit. We are learning about how the past influences who we are today. We started by learning about archaeology and how archaeologists can make predictions about what happened in the past from fossils and artefacts. Artefacts are objects that have been created by humans. 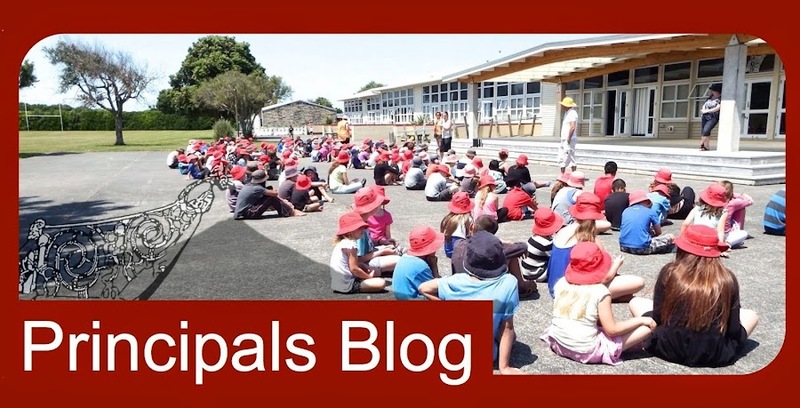 Teachers have shared special "taonga" with students that are special to them. They brought the artefact (object) along to school and have shared the story that makes this object special. In the next week we will be asking students to bring a special "taonga" (treasure) along to school and share the story behind the object with their class. As part of today's work students pretended that they were archaeologists. They will be given a packet of puzzle pieces that they have to put together. Once they have put their puzzle together; they will have a pictures of about 15 artefacts. They have to make inferences about how that group of people may have lived based on the artefacts in their puzzle. Please follow our blog to learn more about what is happening each day in the unit.